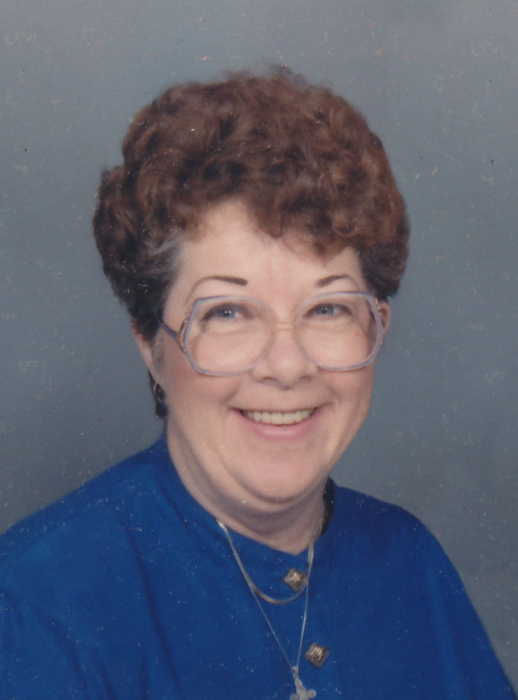 Sharon Ann Adams, 76, of Sister Bay, passed away on Monday, March 18, 2019 at Aurora BayCare Medical Center in Green Bay. She had resided at Scandia Village the past few years. She was born October 16, 1942 in Sturgeon Bay, the daughter of the late Joseph Benjamin and Glenice Mary (Simon) Patza. Sharon graduated from Gibraltar High School. She worked as a motor maker at Emerson for many years. Sharon and Lee A. Adams, Jr. were united in marriage on October 6, 1960. Together, they spent 54 years together before he preceded her in death on November 12, 2014. Sharon and Lee were members of St. Joseph Catholic Church in Sturgeon Bay. She enjoyed playing bingo, coloring and painting, visiting her friends at Scandia Village, and crocheting. Sharon will be missed by her three children, Nick Adams, Nina Robinette, and Debra Royce; four grandchildren, Nichole Robinette, Amanda (Paul) Denor, Hannah LeCloux, and Lance LeCloux; two great-grandsons, Chase Robinette and Edward Denor; siblings, William Patza, Roger Patza, and Ann Edmonds; as well as many nieces and nephews; and friends. She was preceded in death by her husband, Lee Adams, Jr.; parents, Joseph and Glenice Patza; and two brothers, Kenny and Robert Patza. Per Sharon’s wishes, no services will be held. She will be laid to rest in the Bayside Cemetery Columbarium. “All who knew Sharon will miss the brightness she filled the room with. She was a feisty, loving lady who never stopped loving and living until her last moment”. Huehns Funeral Home, Inc. & Door County Crematory LLC are assisting the Adams family. Expressions of sympathy, memories, and photos of Sharon may be shared with her family through her tribute page at www.huehnsfuneralhome.com.